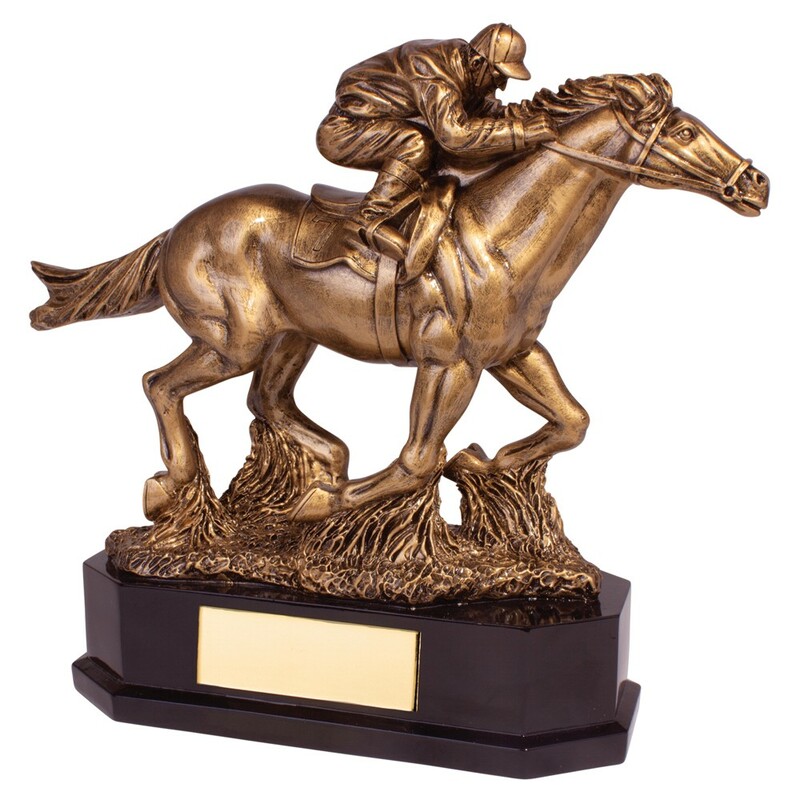 Resin Aintree Deluxe Equestrian Horse Racing Award. This stunning award measures 220mm high. Antique gold horse and rider with gold detail mounted onto an antique bronze base. A truly beautiful horse riding trophy.